When Muslim fundamentalists blow up a key Soviet oil complex, making an already critical oil shortage calamitous, the Russians figure they are going to have to take things into their own hands. They plan to seize the Persian Gulf, and more ambitiously, to neutralize NATO. Thus begins Red Storm, an audacious gamble that uses diplomatic maneuver to cloak a crash military build-up. Good Story, Good Narrative, Good Book! In this factual account written with General Carl Steiner (Ret. ), a commander who held responsibility for all U.S. Special Operations forces across all service lines, we get special insight into a largely secretive community whose members do not talk about their work. We hear about it only afterwards: the Achille Lauro hijacking, the "takedown" of Panamanian dictator Manuel Noriega, the efforts to find Aidid in Somalia. These are men sent in to do the impossible - and often, they achieve it. ©2003 Tom Clancy (P)2003 Books on Tape, Inc. This was a typical Clancy book. I very much enjoyed it. That is until it abruptly and inexplicably ended. It was as if there were other parts to the download that I didn't have. I literally checked for missing parts twice. It wasn't until I pulled my hardcover off the shelf and looked at the ending that I really believed that the book had ended this way. 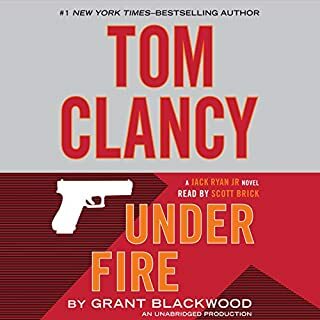 I would recommend it if you like Clancy's spy novels and if you are willing to be entertained for 16 hours and then left hanging and disappointed (with the ending) at the conclusion of the book. Good story. Problems with playback. This is a shorter novel than most. Storyline is a little rushed and not as in depth as other Ryanverse novels. Still a good story. There are problems with this particular recording. There are several instances where a line (part of a sentence) is repeated. It can be a disorienting and makes me aware that I am listening to a novel and pulls me out of the story when it happens. Still worth the download, but I wished that were fixed. I enjoied this book. I would like to read the next book in the series. I definitely felt as if I knew these people. My only complaint is that it seems unlikely that three rank amatures would be sent against seasoned terrorists. What chance could new, raw recruits possibly have against experienced, tempered, cold-as-stone assassins? This is not a joke. These people are for real. They are monsters. They can smell you coming miles away. There is no smiling at them across the hallway and hoping they don't make you. I liked the main characters and I thought the beginning of the book was strong. The action scenes seemed a little rushed, though. And the ending. The ending happened to fast it was almost anti-climatic. I don't want to pan this book. I just want the next one to be better. Now that you don't have to re-introduce the main chacters, hopefully we can hit the ground running in the next one. And soon, please. Tom Clancy's 2003 release, The Teeth of the Tiger stands out in several ways. First, Jack Ryan refuses to run for a second full term as US president. His old friend ex-military pilot Robby Jackson (and Ryan's VP) runs for the office and becomes the first black president of the US. As he leaves office Ryan forms a covert operations group named "The Company" which is hidden in the Maryland offices of the financial firm Hendley Associates. Jerry Hendley, and old spy himself, owns Hendley Associates and heads "The Company" Our old friend John Clark is team leader and brings with him Ding Chavez and Jack Ryan Sr's nephews the Caruso brothers. New CIA agent Ryan Jr. joins the group with his cousins. 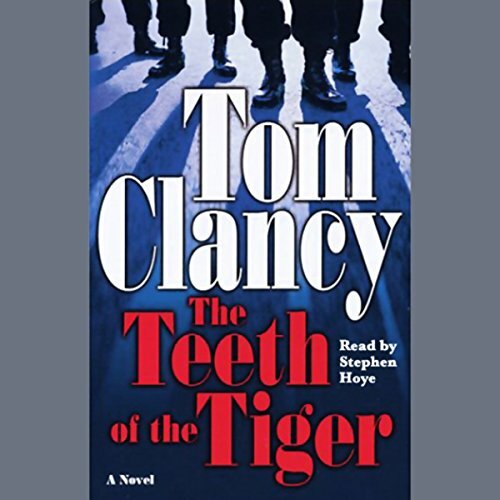 Teeth of the Tiger is the last novel that Tom Clancy wrote without a co-author. It is also the novel where the Jack Ryan series became the Jack Ryan Jr. series. The senior Ryan remains very much in the novels but the protagonist is the junior Ryan. 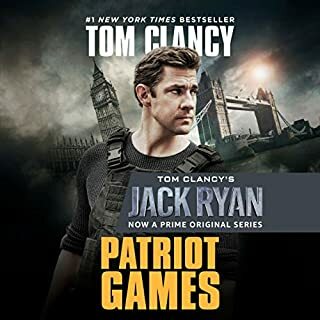 This is an excellent book, and one of the more interesting ones, but it is now among the very best books in the Jack Ryan series. Nevertheless, as a transition novel it is a vital and necessary part of continuing the Ryan series. Wha happened to ye Tom Clancy? Where did your fast moving action filled style go to? This novel is slow and tedious. The reader is also very annoying with the ability to move from one scene to another without a pause or a breath so that you're not quite sure where your at. He also has not developed the ability to use distinguishing voices, so that as he moves from character to character you're not quite sure who's talking. The book ends suddenly! You almost expect to hear a "to be continued in the sequel", but you know something, you're glad that it's over. Clancy used to write about things that were real and used to dispel the very mythology he puts forth in this book. 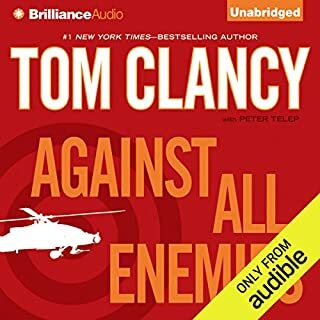 I've read all of Mr. Clancy's work and I've always been impressed with the realism and believability of his books--until now. I fear that one of the very best there has ever been is about to become less than medocre to say the least. This book certainly is less than believable. Save your book credits on this one, folks. Having taken Jack Ryan, Sr. way beyond the realm of possibility, Clancy needed to come up with new characters, and the tie in to his kid and nephews gives the plot line some context. Much of the book is made up of dialogue between the two cousins, who refer to each other alternatively by endearing Italian nicknames (Enzo?) and more often as "Bro" (!). Maybe real life conversations with twenty - something males also leaves something to be desired, but this is really hard to listen to. Far fetched plots and unlikely outcomes are commonplace in this genre, and I can listen to some pretty silly stuff, so long as the writing itself is interesting to listen to. Here, the dialogue between the brothers, and Jr.'s references to "Dad" really made me grate my teeth. Wish I had. This book was a waste of time. I kept waiting for suspence and drama. I got unrealistic characters (twins who seem like such nice kids, except for their vocabulary and the fact that they can kill someone without any emotion) and a rambling story line that just ends. I loved his early books and appreciated his attention to detail. But in this one, every time something is about to happen in the here and now, someone has to reflect back on what "old Dad" did before or speculate on his thought processes and moral conundrums. There is so much angst and soul searching, repeated ad nauseum, that the action could fill a very thin novelette indeed. And there was such extreme repetition of things described in minute detail at different intervals in the book to different people that I found myself talking back to the tape "yeah yeah yeah, I heard this already!" I've never fast forwarded through a book before, but I did extensively on this one, and wished I'd opted for an abridged version. An interesting story, poorly and tediously told. Where was the editor on this stinker? 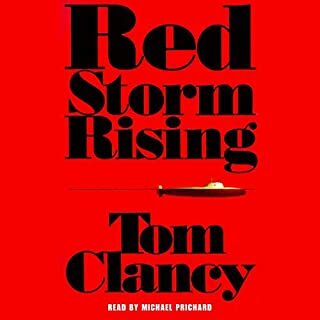 This put me off Tom Clancy as the narration is really really annoying. The story and writing is great but I just hated the treatment and can't get past it. The blooming narration kept jumping around!! To such an extent that I can’t recommend this title. Not as engaging or detailed as the previous books. It seems as though the ideas just were not there for this one. It is the first post 9/11 book so maybe this has had an effect on the storylines. Enjoyed the story but the same lines were repeated approximately 15 times during play. Not the end of the world but a touch annoying. 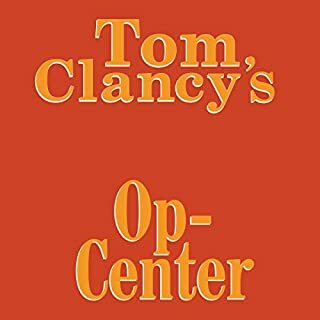 Did Tom Clancy really write this? I'm not so sure. Almost nothing happens in this book except a lengthy exploration of the morality of pre-emptive killing to prevent terrorism. And as for the small talk: ye Gods...it was toe-curling. Talk about stilted! Do any brothers on the face of this planet talk to each other like the two in this story? If I hadn't read another Clancy this book would have put me off forever. It is the anti-Clancy. Well written but average story. Narrator was good. Easy to listen to voice and well read. This was my first Clancy book. I have enjoyed the movies. I was a little disappointed. It was well written and progressed at a consistant pace, but the story was dull. The interesting bit I wanted did not happen. No big twist or defining bit of the story. It simply happend and ended. I was shocked when the book ended, I was thinking it was just getting going. I know there are other books in the series and I will give it ago to see if the story continues. Well written by a seasoned writer, just wanted a little more action and interest. The only downside to this is it repeats itself every now and then. it can be distracting from the story but not a great issue. 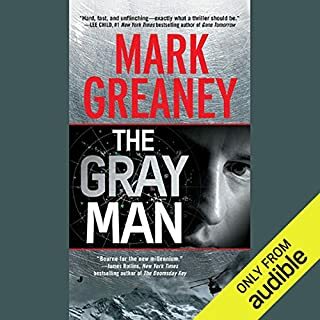 the narration is disappointing due to poor attempt at character accents and a number of repetitions, I assume where there have been breaks during recording, of the beginning if paragraphs. the story line appears to end abruptly. average compared to the later books. As much as I wanted to enjoy this, the pacing issues and less than acceptable production issues, such as repeating dialogue was too obvious. I enjoyed the style and story but there were several sections where the words overlapped. Whole sentences repeated. It's just poor editing, but happens about 15 times in the version I heard.